The Christmas season is upon us, ushering in excitement, celebration and heartfelt memories for families. Of all the fun traditions of the holidays, nothing captures holiday spirit like Ugly Christmas Sweaters with their over-the-top colors and annual parties they inspire. 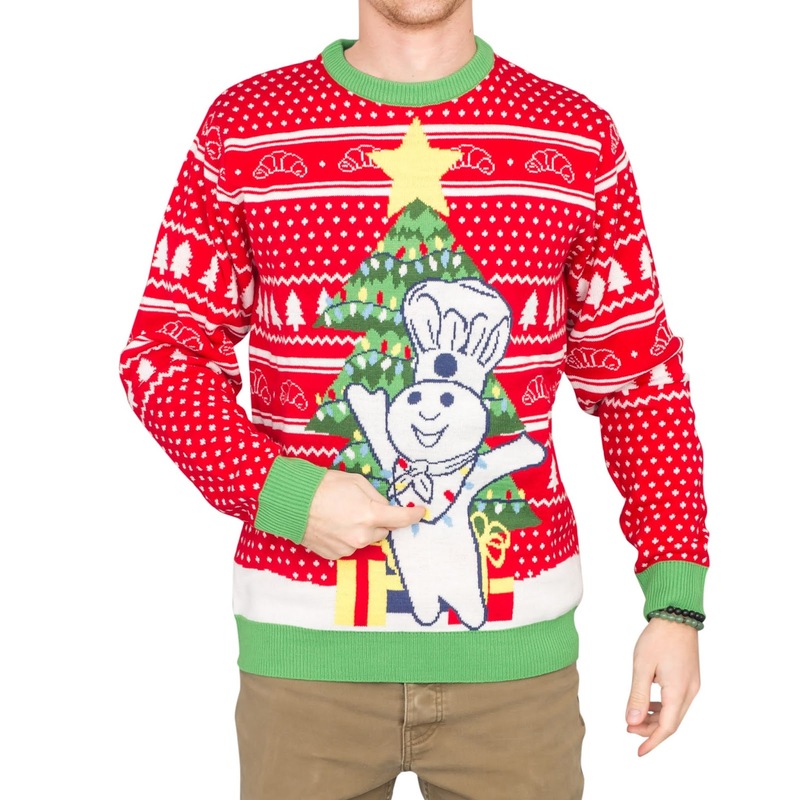 To celebrate the holiday season, the iconic Pillsbury brand is not only warming ovens, but also hearts with the release of the first-ever Pillsbury Ugly Christmas Sweater holiday line. 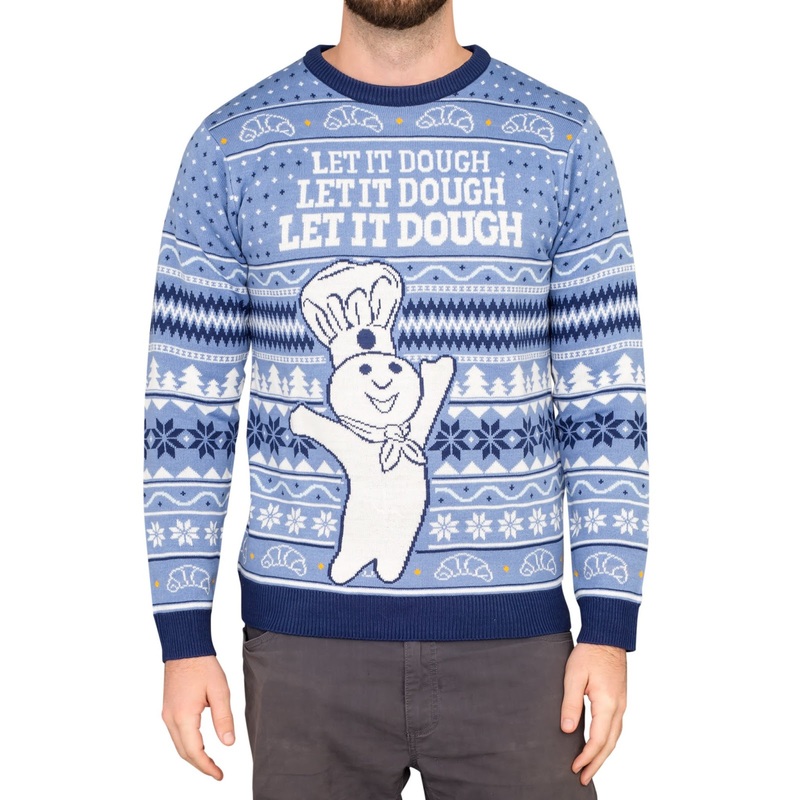 The Doughboy Ugly Christmas Sweaters officially went on sale Wednesday, December 5 and sold out within two hours; however, there is still a chance to get your very own sweater (today only) through a sweepstakes hosted on Pillsbury.com/bakememories. To add to the fun, Pillsbury is encouraging Doughboy-lovers to "don their Doughboy apparel" during upcoming holiday soirees or in celebration of National Ugly Sweater Day on Friday, December 21, and share on social using #Pillsbury. For festive recipes, you can try during this holiday season, like the delicious Raspberry-Cream Cheese Candy Cane Crescent Danish, visit Pillsbury.com.